Before considering intake of the right food, women undergoing treatment for breast cancer must first cut back or reduce the consumption of foods that could have caused breast cancer in the first place. Research has shown that high-fat dairy contains high levels of estrogen, a fat soluble hormone. Consuming high-fat dairy may trigger breast cancer in women. If the daily consumption of dairy products includes high-fat dairy including milk, cheese and butter, it is best to reduce the servings of such dairy products or switch to low-fat alternatives to reduce the risk of breast cancer. For women on the go running to catch up to their busy professional lives, fast food is a quick and easy option to turn to. Eating food with high amounts of saturated fats has become an integral part of our busy lives. This unfortunately takes a toll on our health. Consuming foods high in saturated fats can increase the risk of breast cancer. These include meat products such as sausages, savory snacks, cakes and pastries. Carbohydrates may form the primary nutrient in our foods. However studies indicate that foods rich in carbohydrates can trigger breast cancer. This is possible because of the elevated level of insulin in the blood. High levels of insulin in the body can stimulate other hormones including estrogen thereby increasing the risk of breast cancer. A well-balanced diet that includes the right proportion of carbohydrates, proteins and other micro-nutrients would be the best choice to beat the risk of breast cancer. Dry snacks: Including crackers, cereals, soup sticks. These can be kept by the bedside and taken early on in the morning to help settle the stomach. 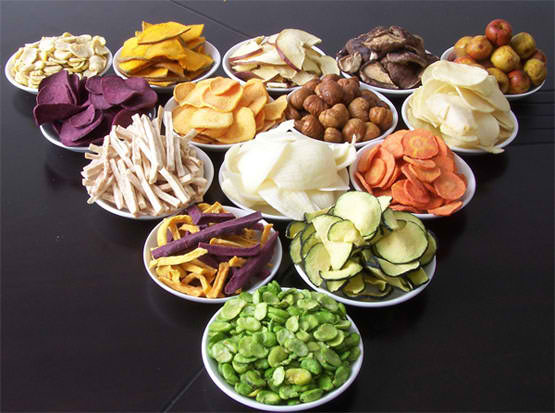 Dry foods are the best options for snacks anytime during the day. They provide the necessary nutrition and also help tackle nausea. Bland food: Oil and spices can trigger nausea. It is best to opt for toast or soft noodles that can keep the stomach full at the same time beat nausea. Cold food: Fruit juices, low-fat yoghurt, low-fat ice creams are some good foods to eat when feeling nauseous. Lean Meat/Fish: These foods are rich in protein and can be added to salads or soups. Fish is also rich in Omega 3 fatty acids. Several studies have shown that taking foods rich in Omega 3 fatty acids can help patients to better tolerate chemotherapy. Nuts and seeds: Such as flax seeds can be used as toppings to various foods such as sandwiches or ice-creams. Yoghurt: This is a comfort food and can be taken in various forms. Flavoured yoghurts can be had as a snack. Yoghurts are good for the gut and help in digestion. 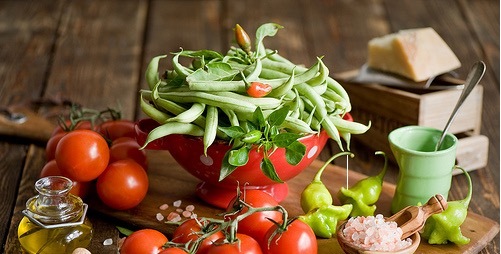 Other protein rich foods: It is a good idea to include a variety of beans to salads and other dishes. Peanut butter can be used in sandwiches or as salad dressings or as dips for fruits and vegetables. Soaked food: Food such as toast or cereal can be made soft by soaking it in water or milk or egg yolk. Cooked food: While experiencing sore throat, it is best to avoid raw foods such as salads or fruits. Vegetables should be cooked so that they can be mashed or ground in a blender to make them soft. Vegetable purees or gravies are best options to be had during sore throat. Chilled foods: Creams, fruit juices (without citrus) can help soothe sore throats. These are also easy on the stomach. Cooked food: Any piece of food that is consumed during this time must be cooked. Salads must have cooked vegetables. Milk must be pasteurized to avoid the risk of bacterial infections. Lean meat: Meat can provide the necessary protein that helps rebuild the immune system. However any meat that is consumed must be properly cooked under the right temperature. Multivitamins: It is important to take a multivitamin supplement in addition to vitamin rich foods. The doctor will prescribe the best supplement. High sodium diet: Sodium that is necessary to maintain the blood pressure is lost during diarrhea. Sodium rich foods include salt crackers, pretzels, and soups. Control diarrhea: Some foods such as bananas and yoghurts contain pectin which can help contain diarrhea. Fiber, fiber, fiber: The body cannot digest fiber. However, fiber is important for bowel movement. Fiber-rich food can help ease constipation. Raw vegetables, fruits, brown rice, cereals, corn give the variety to choose fiber-rich food. Water: Yes. This simplest drink is to be had in large quantities during constipation. 8-12 glasses of water is needed for the body to streamline bowel movement. All of us know very well that prevention is better than cure. While making the right choice of food during breast cancer treatment, it is great to have an idea about foods that have shown to prevent breast cancer. Women belonging to families which have had breast cancer cases can look out and change their lifestyles and food habits to lower the risk of breast cancer. Turmeric: This humble spice is rich in a chemical call curcumin that fights against breast cancer tumours. Recent studies also indicate that chemicals in turmeric can trigger production of stem cells in the body that can aid in the rejuvenation of the body. Leafy vegetables: Including broccoli, spinach, cabbage to the diet can prevent breast cancer. It is best to eat one or more portions of these vegetables daily. Flaxseed: Rich in a compound called lignans, flaxseeds can decrease cancer growth. Flaxseeds can be good toppings for salads. Walnuts: Walnuts are rich in omega 3 fatty acids that can help prevent breast cancer. Make your salads crunchy by adding this wonder nut.